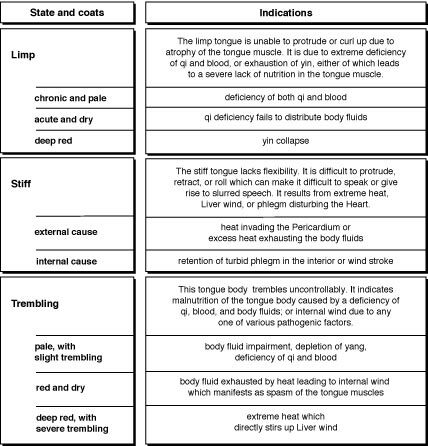 Indications of Limp, Stiff, Trembling, Quivering Tongue Body. Liver wind, or phlegm disturbing the Heart. to a severe lack of nutrition in the tongue muscle. one of various pathogenic factors.